Vast open spaces, beautiful landscapes and fascinating historical cities, Scotland has so much to offer. The population of the entire country is less than that of London and has lower costs of living than the rest of the UK. With its stunning lochs and impressive mountain ranges Scotland is a paradise for anyone who loves the outdoors and wants to get some space from the crowds. 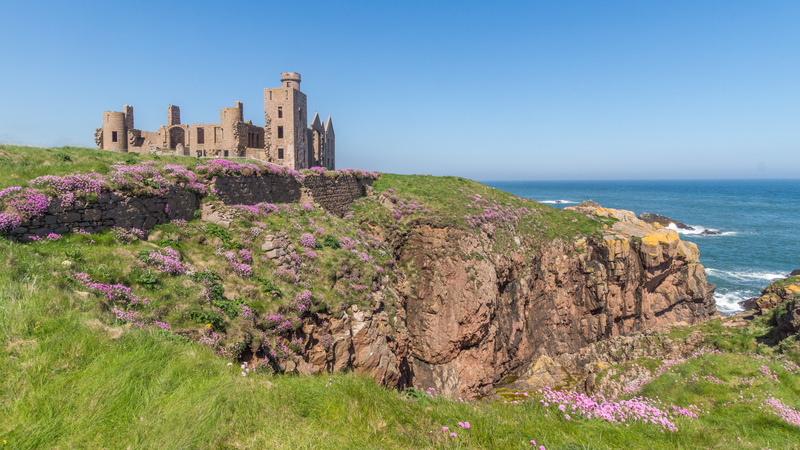 Whether you are buying a holiday home, an investment property or permanently relocating to Scotland, finding an independent Scottish lawyer to protect your legal interests is essential. Dealing with cross border property transactions can be complicated and the laws that relate to you will depend on your own specific circumstances. It is important that you seek legal advice in relation to your circumstances. We have provided some very general information below. This information is not a substitute for specific advice from a properly qualified and experienced lawyer. Worldwide Lawyers can put you in touch with a property lawyer in Scotland to advise you and help make the transaction as smooth and hassle free as possible. Once you have found your perfect Scottish property and Worldwide Lawyers has found your Scottish lawyer you are ready to move forward with the buying process. The buying process in Scotland starts with a “note of interest”. Your solicitor will formally contact the seller or their agents and advise them of your interest in the property. The selling agents will usually then formally advise all parties who have noted an interest through their solicitors. Once a number of parties have noted an interest, the sellers typically sets a closing date by which all offers have be submitted. During this time your solicitor will usually arrange a survey and any other reports that may be required. You will normally be advised how many other parties have noted an interest, but not how much they are offering. Once you decided how much you are prepared to pay for the property your solicitor will make a written offer on your behalf which must follow the correct Scottish legal form. If your offer is unsuccessful, your solicitor is not able to enter a higher offer on your behalf, unless invited to do so by the selling agents. You will be advised of whether or not your offer has been successful on the same day. The seller does not have to accept the highest offer and may consider other factors. Once your offer has been accepted, the seller’s solicitor will issue a formal written acceptance to your Scottish solicitor and will give them the important documents relating to the property such as the title documents, planning papers and property reports. Your solicitor will then check through these documents and raise any enquiries you may have with the sellers solicitors. You may be asked my pay a deposit at this point although this is not common. Deposits, if required, are typically 10% of the purchase price. Your solicitor should then provide a report to you with all the information relating to the property and will prepare a contractual letter including any terms that you may require. If these terms are acceptable to the seller, the seller’s solicitor will issue a final formal letter which concludes the contract. This contract is then binding on both buyer and seller and neither party can withdraw without financial penalty. This type of contract may take various forms and your lawyer should explain the obligations of each party as a result of entering into this contract. This contract will also specify a date for “settlement” (completion). Cleared funds to cover the purchase price, as well as any stamp duty and title registration fees must be transferred to your solicitor before the settlement date. On the settlement date the purchase price will be paid to the seller’s solicitor and your solicitor will receive the disposition (the property transfer document), any other related papers and the keys to the property. Your solicitor will then arrange for the disposition to be stamped and registered on the Sasine (Land Register) together with any mortgage document. Once registered the disposition will be send to your mortgage provider or solicitor for safe storage. The next step is to enjoy your new property relaxed in the knowledge that your independent Scottish lawyer has taken care of all legal formalities and your interests have been protected. Congratulations! The additional costs of buying a property in Scotland will vary however they are on average around 2-4% of the property purchase price. As per the formal written offer accepted by the seller. Stamp Duty Land Tax is between 0% and 5% depending on the value of the property. The amount of the legal fees will depend on the extent of the work involved but are typically £700- £1000. You will also need to pay your solicitor for the search fees which are usually around £300. The Land Registry Fees vary depending on the purchase price of the property. They range from £60 to £7500 but are typically a few hundred pounds. Instructing an independent Scottish lawyer to protect you interests and provide advice and reassurance that the legalities are checked on your behalf is essential. You should instruct a lawyer as soon as possible and before any formal steps have been taken to purchase a Scottish property or before any mortgage has been formalised. This will allow your lawyer to advise you properly on all aspects of the transaction to ensure your position is fully protected. Contact us on 01244 470 339 for free help to find an independent English speaking lawyer to assist you with buying a property in Scottish.